natural/electronic.system. 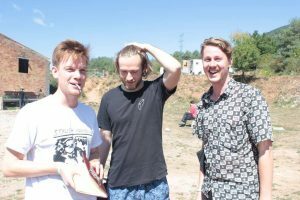 @ Paral·lel – Interview and Festival Review | AS IF. NO WAY! At our first excursion to Paral·lel, we wanted to dig the brains of some of the core artists of the festival. Having previously interviewed Refracted, who sincerely hyped the festival’s atmosphere, music and narrative, we spoke to natural/electronic.system. – a duo dubbed as ‘Paral·lel Festival Residents’ – about their thoughts and emotions while performing at and experiencing the festival as a whole. AS IF: You ended up playing an extended set from four to five hours, do you get tired during as you put in so much energy? natural/electronic.system. : Yeah an hour before we were meant to finish they asked us if we could play an hour more as Function pulled out ill. It was easy with this crowd, there is a big connection so it was no problem. We are used to playing extended sets, we prefer to play longer sets. You can’t tell a story in an hour, hour and a half, it is not enough. To what degree do you plan your sets? We live in different cities, Berlin and Rome. I flew to his house from Rome to meet for a few days listening to records, selecting and exchanging music. We will say “Maybe this one will work, and this other might not”, then we will play. We listen to music and for these type of events that are outdoor and you have an idea of what crowd you will have in front of you, select music that is right for the environment and for the event itself. We usually look towards what is going on around us and then we try to feed the good mood and try to tell a story. You want to have an organic flow. How do you choose to play together, do you play one and one, two and two etc? It depends, sometimes we will do three each, sometimes one and one. It really depends. We will play on all formats as well, from CDs, to vinyl to USB which depends on how much time we have to prepare on what we want to play. We try to make something special because not all the sets we have met before and we get to think about track selection. We really love this festival so we tried to make something special for it. We made a rough selection of tracks on a usb that we can pick off of. That must of helped in the last hour when it was completely improvised, as the last hour you switched it up and gave the story another chapter. While it was improvisational is that the sort of preparedness you like to have? Yeah it was improvised. When you are going to close with the light and then we have an hour more which will be after sunset, we decided to go darker. Lets open for Yuka in the right way. Lets create a darker mood. We do this in clubs for example, if we know who is playing before or after us we try to let the music flow as organically as possible, so for Yuka we went from deeper house to techno. That was basically the idea we had for this set. We have heard a lot about Paral.lel festival and the three day plan and story, where did this set fit into this festivals context? It was planned as a passage between morning and night, the slot was perfect to go from light to dark. To explore all kind of sounds that don’t have to be only techno and house, we play what we like. If they give us the opportunity to explore with an outdoor environment, then you can choose the music to relate to the scenario. You are free to explore. There is a very open minded crowd here so we could do something that we don’t usually do in other places or clubs. It was special. The element of nature being involved with music and the relationship between the two is very powerful. I remember at one point all the dust that everyone had kicked up as the light shone through the trees, it was very special – like the earth coming alive. Do you remember a particular moment in your set where nature was talking to you? Yeah we had a lot of dust coming into the booth. Neel was drawing on the CDJs when we were playing. It was nice seeing when it was bright and then suddenly when there were clouds and it got darker, that’s the nice thing about being outdoors. You can follow the mood of the weather. We have a strong connection with nature in general as our music can fit really nicely with open air situations like this one. In the past we were doing parties in the woods near our hometown. It has influenced our vision. We imagined these kinds of events as a ritual and a collective experience, a connection with nature that is sometimes not present in our everyday lives. It is important. Maybe not in Australia, the connection with big cities and nature is different. I remember in Sydney it was amazing to see trees taller than the houses. It was like a city in a jungle. It is hard to see this in europe, everywhere it is buildings, buildings, buildings then there is a park. So you are building technology into nature? Yeah that is where our name comes from. We make electronic music and try to reach out to nature through our music. We come from the ground. We are apart of nature. It is obvious that we as human beings are building lots of technology, but we should respect the environment and what we really are. It is good to have technology but also to be reminded that everything around you is alive. Do you use any natural elements like field recordings in your music? We take field recording when we travel and use it in the studio to create an atmosphere or sound. We like it. The relationship between natural/electronic.system. and Paral·el is set, you guys going to be apart of it in future years to come? Yeah. We still don’t know as we ended yesterday. But probably yes. They are our friends and we would like to come back. It was a very special moment yesterday. We spoke about the second edition after how amazing it was last year and not many where expecting us, as we are not a big name. But everyone answered in a great way, from the first track to the last. This year there were still people from last year saying “Guys last year was a very special moment”. This is important for us. When we have this sort of response we are super happy. We heard a lot about this festival being ambient as well, using the daytime to do something slower and more dubby and spaced out sets. Where you ready to do anything like that here as well? We did something like this last year. It was a long day party and all ambience. We like very different kinds of music, so whenever you have the opportunity to share such records that you don’t usually get to play it’s nice. We like to do what we do when we are together which is share music and if you can do that with a big group of people it is better. Paral·lel are attempting to build, for the niche techno, house, ambient and electronic music lovers, a haven; A sublime experience for every soul, one for when you arrive back home, you feel like the festival is still a part of you. 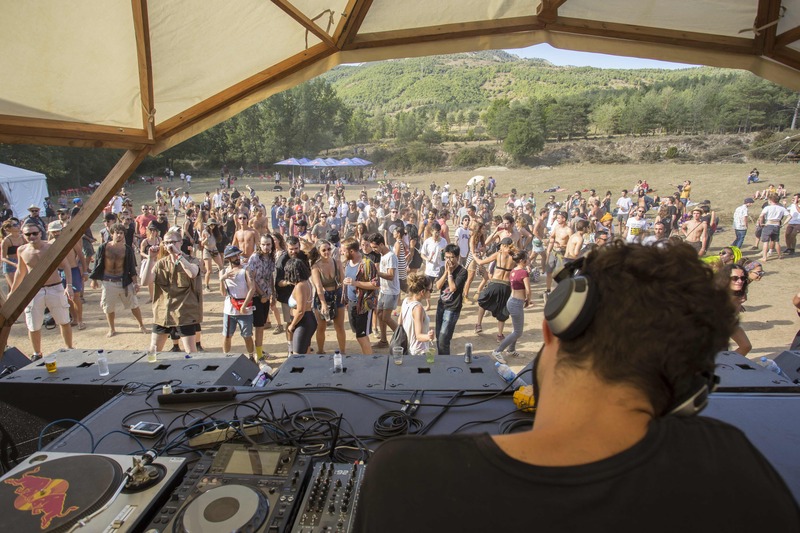 The majority who attended connected with Paral·lel’s vision implemented in the spectacular Pre-Pyrenees mountains, particularly on the Friday evening rolling through to the Sunday morning, with the likes of Dorisburg, Yuka, Polar Inertia, natural/electronic.system. and Refracted created something special that fitted within Paral·lel’s said narrative. 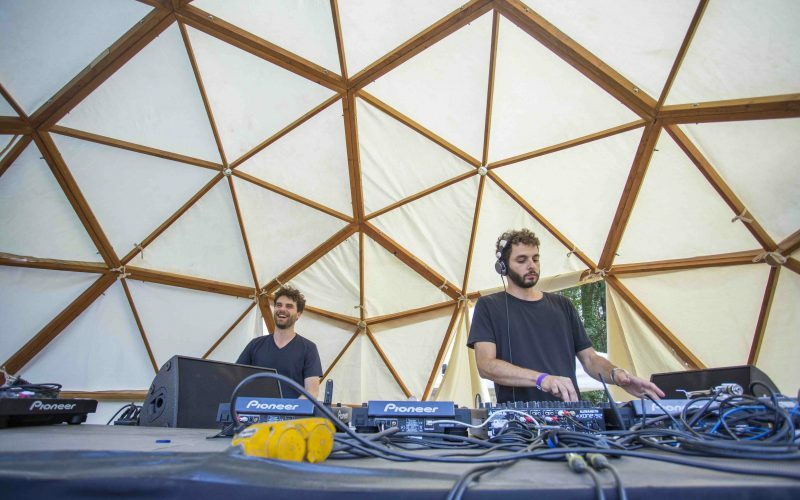 Our experience (AS IF) of Paral·lel differed somewhat from what we expected from the pre-festival hype and from the experiences of Alerio Gomez de Ayala and Antonio Giova of natural/electronic.system. detailed above. We arrived on the mountain with the expectation of more experimental, ambient, dubby and spaced out music that would act as a compliment to the lush daytime setting. In reality, only Mathias Grassow, Jana Sleep and F-ON played any music in this vein and their sets were mostly timetabled very early in the day. The image that Refracted so lovingly painted in his interview and the atmosphere that was portrayed in the pre-video was not totally reflected in this year’s edition of the festival. The timetabling seemed to be adjusted from what would otherwise be a late night affair to suit to the licensing constraints set on the festival by the local government; meaning that the day was filled with circa 4am-7am techno that sometimes seemed at odds with the tranquil surroundings. 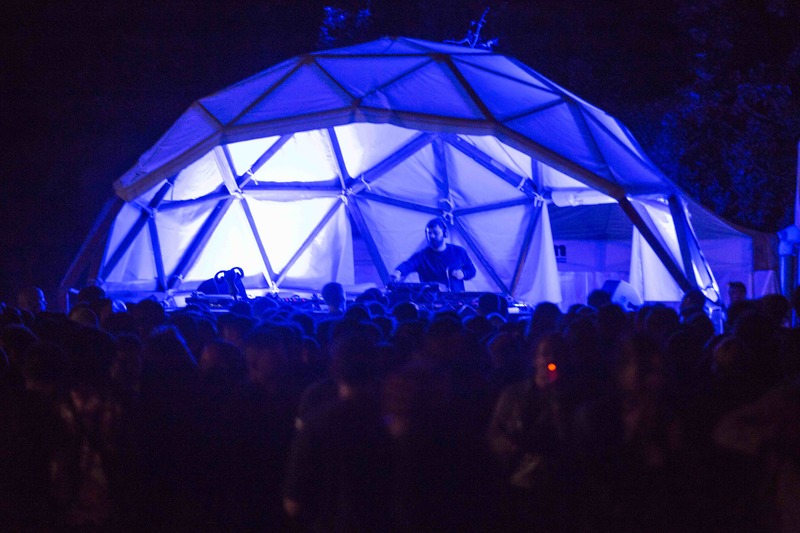 The festival itself was strictly presented as being a meticulously curated showcase for techno lovers as opposed to a ‘party’ or ‘rave’, and as such there was not any all-night programming, the festival ending at 8pm on the Sunday evening (the Saturday ending the latest at around 5am). This was intended to give people a chance to sleep and reset between dancing sessions; As Felix of Paral·lel said: “We like to supply people with a break, with a timetable going from 6pm-3am,12pm-5am then 12pm-8pm. We have had a discussion and would like to have more hours in the night, going into sunrise at 7am, but then you lose the hours within the day”. Whilst this was sensible for the wellbeing of the festival-goers, in our opinion this impacted the feel of the final day of the festival, with many lounging around their tents til the last few hours of the Sunday, which abruptly ended as the sun set, slightly tainting the overall experience. Granted, every festival has to end, and it’s always a sad moment when it does! Though from our perspective, Steve Bicknell‘s set did not supply the euphoric, conclusive ending that we yearned for, which saw him blending heaving, visceral 4am techno into 90’s old school melters. (Though we did enjoy Brother From Another Planet – Planet Earth). This was partially down to the configuration of the soundsystem for the final set, which was far too sub-bass heavy, meaning that in order to hear the higher frequencies, one had to be positioned right in front of the speaker stack. Paral·lel have a strong, unique direction and are determined to create a special experience for each and every punter, artist and volunteer involved over the three days; This vehement commitment to create such a techno utopia is truly admirable, and we hope that the festival will continue to grow towards realising this dream. To curate a festival with such an intimate setting and well considered programme is intensely difficult and fraught with complications. Paral·lel, as it stands, is most definitely a one-of-a-kind event; one that will continue to develop as this fledgeling project evolves into the sonic sanctuary that it is destined to become.